Celebrate your new curves, at your next event, in our Soiree Off Shoulder Dress. 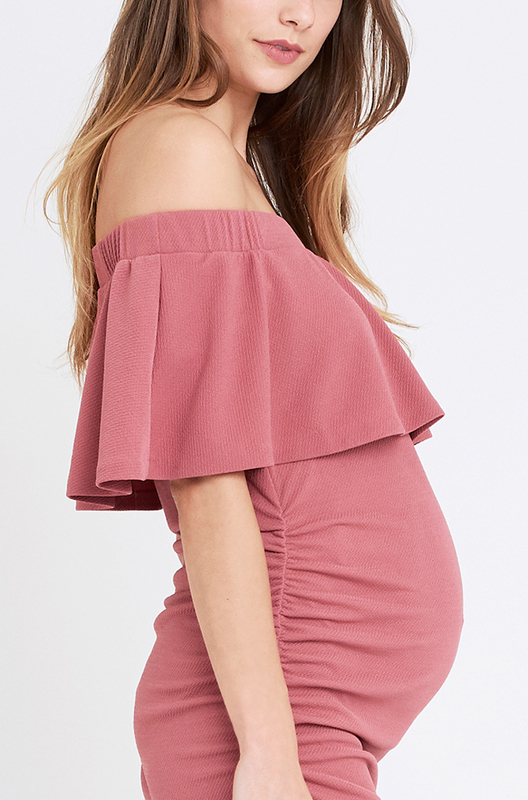 The frill neckline adds a playful touch while the side seam ruching give the perfect fit through all stages of pregnancy and beyond. • Our model is wearing a size small. She usually takes a Standard AU10 size, is 5’7” (175cm) tall and has a 70cm under-bust, 90cm bust and 90m hips.